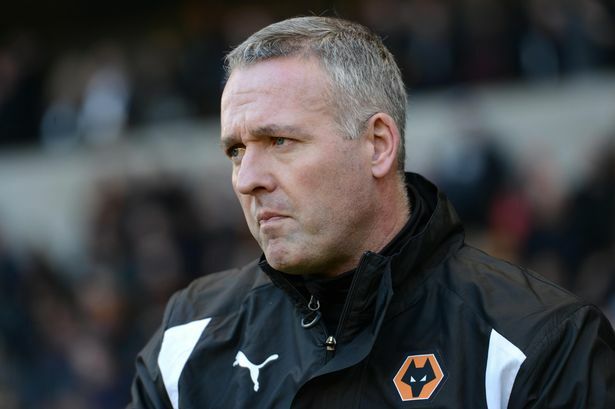 New Wolves manager Paul Lambert has stated that his team is in a relegation battle at the moment. Indeed the club has not managed to win a single game for the past 9 matches, and it is important that things change quickly if they want to keep their chances of staying in the Championship alive. Paul Lambert first game in charge ended in a defeat against Sheffield Wednesday, and he will not be pleased by the manner has been beaten at home. This was the fourth matches that Wolves have lost in a row at home, and this definitely smells like relegation form. Paul Lambert admitted that his side is in a relegation battle at the moment with a few other clubs and that it is important that their form changes quickly. The good thing, however, is that it is still early in the season and that there are plenty of matches left in order to turn things around. The new manager wants to see more commitment from his players, and he wants to see them fight for every ball. He believes that there is a lack of motivation and belief in the team and it is important that the team get back to winning ways quickly. Paul Lambert believes that there is still time for things to change but the team needs to learn how to defend better if they want to win games. He said that he will be looking for the best players to play for the team and that the ones that are not motivated will be spending time on the bench. He said that he is happy to manage a club such as Wolves who got a fantastic support. He said that fans should stay behind the team and support the players in this tough period.